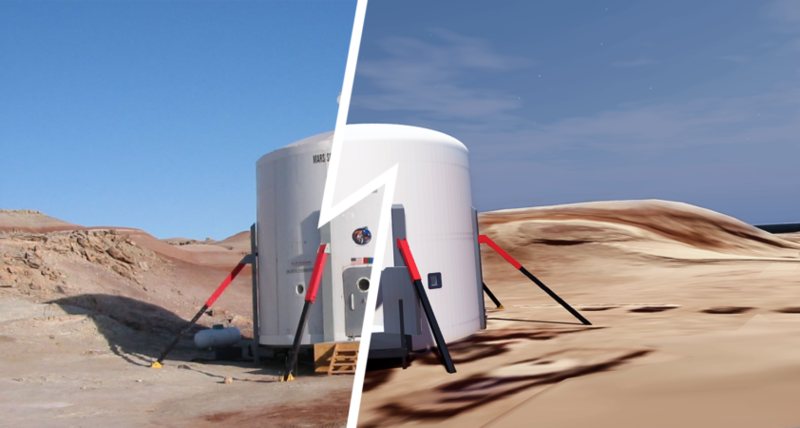 Phase 1 of the MarsVR program will focus on designing training simulations for the Mars Society’s Mars Desert Research Station in Utah, providing direct assistance in preparing MDRS crew members for their analog research and testing. Since every moment at MDRS is valuable, just like actual astronauts working in space, the Mars Society wants its crew members to make the most of their time “on Mars.” Key elements of the platform will also be open-sourced so that the general public can freely make use of it to experience human Mars exploration. As part of MarsVR, the Mars Society intends to build a high-resolution simulation of the entire MDRS habitat, both inside and out. To complete the experience, Mars Society staff will scan a one-square mile capture of the Mars-like terrain around MDRS using the latest photo-grammetry techniques. Funds raised beyond the $27,500 campaign goal will be used to expand the VR platform beyond the initial one-square mile capture to allow for a broader Mars experience for both crew and members of the public. A Research Tool: We hope to use VR to conduct serious research on the challenges of exploring a Mars landing site. An Open Source Platform: We want to ensure that MarsVR is available and customizable for everyone. An Example of Best Practices: We want to make the best use of generally-accepted technology processes and tools. A Love Letter to Space Enthusiasts: This new virtual platform is built by and for space advocates so that all can experience space exploration. An Inspiration to Our Youth: We aim to inspire the next generation of space explorers and aspiring astronauts. A STEM Education Platform: MarsVR will be a free, open source and customizable environment able to meet many educational purposes. A Public Outreach Tool: We will use MarsVR to tell the story of the future human exploration of the Red Planet. An Immersive VR Experience: MarsVR will be a fully immersive experience, transporting users to MDRS and allowing them to explore a simulated Mars base environment. With your direct support and involvement, the Mars Society can pioneer the use of virtual reality for pre-mission crew training as well as expanding Mars advocacy and outreach among our global community. For full details about our MarsVR program and how to contribute to the Kickstarter campaign, please visit: MarsVR.io. To sign up for the MarsVR newsletter, please fill out the online form available at the bottom of the MarsVR.io web page. 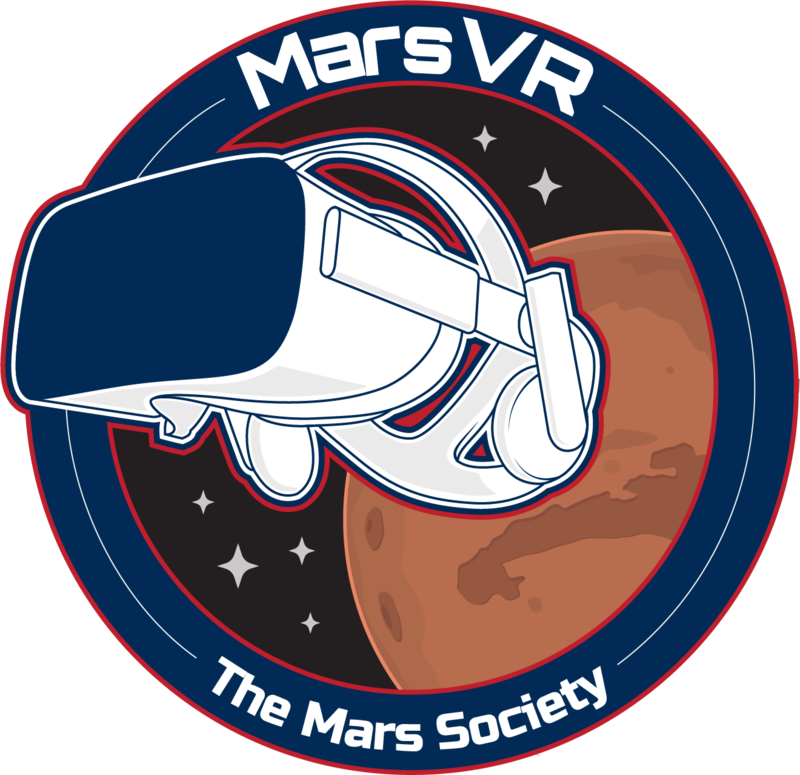 Any technical questions regarding the MarsVR program can be referred to James Burk, Mars Society IT Director, at jburk@marssociety.org, and all media and general inquiries should be sent to Michael Stoltz, Mars Society Media & Public Relations Director, at mstoltz@marssociety.org.